PETA would choose the "ideal environment theory"
Video games are often silly, fantastical things, which is one of the reasons that we love them. Still, that silliness can sometimes be fun for theoretical nonsense, such as the real estate value of Hyrule Castle. The same group that came up with that theory has now asked that all-important question — "what's it like inside a Poké Ball". Plenty of Nintendo gamers have used a Poké Ball hundreds, maybe thousands, of times, but how does it actually work? According to www.movoto.com there are three possible answers, and it has tackled them all in a rather attractive infographic. Check it out below. Nope, the energy theory or even the physical size series (as used in the manga) are far more accurate. It could also be that putting a Pokemon in a Pokeball "hibernates" them, kinda like a cryogenic freezer. The data theory is the most likely. If the Ideal Environment Theory was true, shouldn't pokémon be able to recover their health after a brief period of time? (without items/a pokémon center). I assumed the backgrounds in my pc box represented the place the pokemon goes but I guess ideal environment is more humane, if a little luxurious. @6ch6ris6 didnt black and white have heavy animal rights themes? I think the data theory sounds most accurate, and slow day 'eh Nintendo life. I think they work like capsules in Dragonball, and by that I mean I think that their contents is actually moved to a confined area in a parallel universe, which is how I think those work and also the reason that dinosaurs, old western towns, and futuristic cities all exist in the same world. Also, I'm pretty sure it was confirmed on the show that the ideal environment theory is the one at play. I'm thinking that either the data theory or the physical size theory is what it acctually is. And the ideal invirement doesn't explain how the pokemon fits in the ball. I think the true one is the data one. is a series of mirrors which keep the data energized pokemon contained. @6ch6ris6 This isn't from PETA. I think some balance between the data and physical size theories seems about right. Things like how pokemon centers work, storage, and transport seem fairly consistant and the data theory would explain them, but that doesn't explain how Pokemon seem to be aware of whats going on outside their pokeball. What I find weird about the whole thing is what happens to the actual pokeball during all this, being a solid object that changes size and can be stored on a PC. I think the data theory is the most plausible, though I feel the environment theory can be implemented as well, at least in the PC potentially. Its not "data", its energy, which is more physically plausible. Wait. Snorlax's trainer is just another Snorlax with a hat on? @CaptainSquid Because that's equality if a Snorlax enslaves a Snorlax. But when a child does it, it's evil. I don't think the habitat theory could work at all. That means those 200 p pokeballs would need to be specified for each Pokemon. I think it's actually basically a torture device, hence pokemon trying to escape when first captured. The pokemon undergo immense pain inside the Pokeballs, breaking their spirits and discouraging them from attempting escape when the trainers send them up. They become so convinced that trainers are sadistic enslavers that they fear ever rebelling, lest they be killed. My other theory is that it's a piece of fiction so we're wasting time theorizing on a concept that likely doesn't have any official explanation, and our laws of physics do not necessarily apply in their universe. Only the data theory makes sense. When pokemon are captured, they change to one colour and energy is released (hence the sparkle effects) because the pokeball converts them into energy which is inputted as data.This is why all trainers can store pokemon on the PC, and the pokemon can be healed by the machines in the pokecenter (it essentially edits their data so they are healthy again). I'm fairly certain the first theory is true for the games. However I do believe placing them in the PC means you're sending them to some Pokemon Ranch like in the anime where whenever Ash needs to send a Pokemon away to keep a party of 6, they are transported to Prof. Oak's research ranch. I believe in the energy theory, like Ghostbusters. It's basically like what happens to Ghost when they land in a muon containment trap, their size is relatively irrelevant............................ what? I always thought it was a bit like the matrix. They're stored as energy, but simultaneously exist as objects in a virtual environment. I think that the pokeball is some kind of stasis chamber. I feel like in X and Y you should be able to customize the insides of your pokeball with furniture you can buy in a store somewhere. Also, the higher the tier of the pokeball, you should get more space or the ability to buy better furniture. So in the episode where Ash accidentally catches a riceball with his pokeball, what is the riceball's ideal environment? I've always thought of the Ideal Environment Theory when I come to think of it. Although, if that were the case, why would the Pokemon a trainer is attempting to catch try to flee? I just assumed they went into a state of hibernation. Transferring the Pokemon's data wouldn't make sense in the 'ideal environment' or physical theory, so it's probably a form of energy/data conversion. I still think it would be neet to capture people. I always assumed it was like a TARDIS in there. Why talk about poke balls when you can talk about what the real world would be like if they existed? That's something I'd love to hear. Makes the most sense. Also, looking at the price of a simple pokeball at 100pd each, that would hardly cover the cost of something as complex as an Environmental, honey we shrunk our Pokemon, room. One would think. @Alienfish The show has nothing to do with the games. @SanderEvers Welp, I was right. The Data theory's probably closest to what the creators imagined. I mean, think about it. You store Pokemon on a computer. They can be transferred through a computer too. Of course, that's not to say that Pokemon, as data, aren't placed in virtual ideal environments, which are also transferred into the computer. The Pokemon are teleported to the Prof. Oak/Elm/etc. lab via PC. The TV show explains where they are, which is roaming the areas around the Lab built for domesticated Pokemon. The game only gives you instant access to them, because it's a game. If they implemented the waiting time for Pokemon to be transfered to you via PC, it would take upwards of 10-20 minutes to prepare sending the Pokemon. While inside the Pokeball, I think @SanderEvers shows what happens inside. That means they would be able to program the ideal environment digitally. Since the Pokemon become digital themselves, they can interact with digital environments as well, which would include programable food items and such. I live for creative writing like this. Simply amazing. The manga (at least the early manga from what i've seen) appears to use the physical size theory. The Pokèmon don't seem to mind. Edit: Also, the Pokè-masseuse and hot tub ideas are ridiculous. @TwilightV The Anime series suggested that on multiple occasions, too. I've always wanted to hear this from Nintendo. It's a video game! Pokéballs don't need to make any sense whatsoever. Just like breeding Skitty with Wailord. It's obviously Time Lord science. @FFL2and3rocks A soy sauce pond of course. 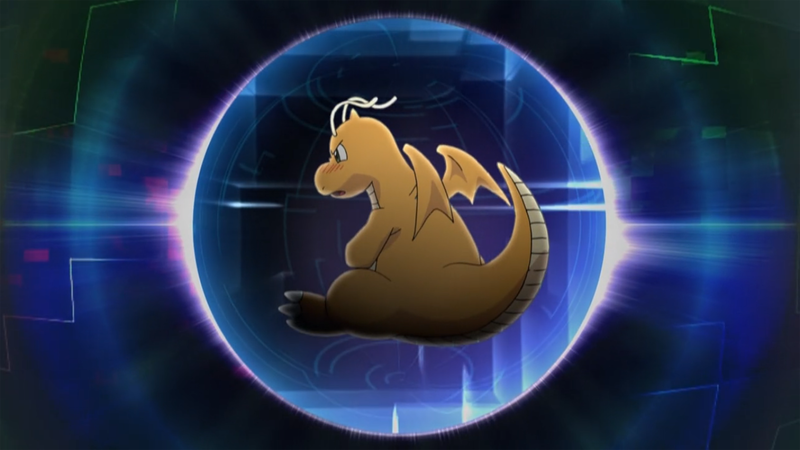 Something tells me that PETA hasn't watched the latest Pokemon episode, where Dragonite is shown in his Pokeball. @TwistedRabbit That's what I was going to say. I believe Melee does say that. The Data one could be a Matrix-like thing, that'd be cool. The actual scenario was described in one of the Pokemon films: they are essentially digitized and put into a giant world with all the other Pokemon. So, yes, somewhere out there there is a lava pool where a couple hundred Groudons are kind of just chilling out, maybe playing chess. Um, wouldn't converting matter into energy create a nuclear explosion? If just splitting some atoms to convert part of them into energy is enough to devastate a city, converting something even the mass of a Gastly would be enough to easily wipe out the whole planet. @kirby95: Wouldn't that mean that breaking a Pokèball like Ash and Gary did would have disastrous consequences? Some of you guys don't realize that this article has nothing to do with PETA. NL just mentioned them in the tagline. Why do people keep mentioning the anime/movies/manga as if they were related to the games at all? It's good to hear different theories guys, but don't treat the anime as if they were canon, so to say. The information in the show was meant to tie in with the information in the games. If it's true in the show, it's true in the games, at least the older games. The newer games are set in different worlds from what I understand. In the end it's all a bunch of fantasy anyway. The manga is actually based very closely on Satoshi Tajiri's original vision of the series, so its probably the most accurate representation out there. The anime is like the more "child friendly" version of it and aside from a few creative liberties it sticks to the source material pretty well. Theres actually a good chance the anime would have been much closer to the manga if they weren't pressured into changing it (and thus the manga was born). I say its a mixture between the Data/Energy one and the Environment. @TwilightV Perhaps the odd black hole, crack in the universe or giant growing Pokeball or two? Solved: You can it to PC storage systems, so it's data. I want to live in a pokeball then! 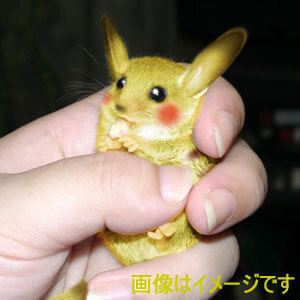 ACTUALLY, in the Pokemon manga, Pokeballs have translucent lids. Looking inside reveals that the Pokemon inside is smaller, but is not crammed inside. My guess is that when a Pokeball is capturing a Pokemon it converts a Pokemon to data, moves the data inside, reassembles the Pokemon on a smaller scale and uses nitrogen gas to Cryogenically freeze the Pokemon. When sending the Pokemon out of the Pokeball, it removes the gas, converts the Pokemon into data, moves it out of the Pokeball, and reassembles it to it's natural size. "Most Pokémon must be weakened in some way before they can be captured, but once they're inside a Poké Ball, they enjoy their new home, since Poké Balls contain an environment specially designed for Pokémon comfort." "Pokémon live in these items which, despite appearances, actually contain a wide, comfortable, Pokémon-friendly world inside them." @Zombie_Barioth That doesn't mean any of the ideas used in the manga/anime are canon to the GAMES, they're all made up by their respective writers. They're three completely different universes. Why is the energy theory inhumane (shouldn't that word be inmonstery or something, since they are not human)? I wouldn't even mind being transferred into energy if I would be transferred back a bit later. Why should a pokemon care? The cramped space theory does seem a bit inmonstery though, so I wouldn't put my pokemon there. Your right, they aren't actually canon to the games (not counting yellow version) but I'm not saying they are. "Why do people keep mentioning the anime/movies/manga as if they were related to the games at all?" I was simply pointing out that they are in fact related, just not story-wise. Even Satoshi Tajiri himself has stated the manga is the most accurate depiction of the world he imagined and its been hinted that the anime would have been closer to how the manga is if if they weren't pressured into making it more broadly appealing (i.e child/family friendly). Actually, there have been signs in which the trainers have spoken with their pokemon and even given them commands while they were still in the pokeball, disproving the code and light energy theories. Most pokemon actually enjoy being in their pokeballs, Pikachu seems to be the only one who doesn't like it, disproving the physical size theory, and there is a video on YouTube inwhich the guy talks about the different theroies and gives evidence against them, including the ideal envirnoment theory.